As you may have noticed through the news lately, Avian Influenza has been found in North America again. Tennessee, Alabama, and most recently Georgia have had isolations of Avian Influenza. In Ontario, the Ontario Animal Health Network is a group of veterinarians who work together to coordinate animal health strategies in Ontario. We have produced a podcast where Dr. Tom Baker, the director of the Feather Board Command Centre, an industry group that takes charge of disease outbreaks if they occur in Ontario. The podcast covers information that should be of interest to small flock keepers. There is a huge amount of expertise in the 20 minute interview that follows. I hope you find it valuable. This is a post I have been wanting to write for a long time, but hesitant to take on. I have done A LOT of work with the professional poultry producers in the past couple years, teaching the best euthanasia techniques and procedures. It is possibly the biggest contribution I will make in my career to animal welfare. I believe that it is part of the responsibility of any animal owner to reduce the suffering of any animal in their care, and euthanasia is an important part of that. I have also been asked by many of you in my comment section for advice, and have seen a LOT of questionable things floating around on the internet. One thing I will never do is tell an owner WHEN it is appropriate to euthanize. You need to make that decision based on your values, ethics and experience. I have my opinion of whether it is humane to try to set a broken leg on a chicken and try to get her to recover. You have your opinion. Both of our opinions are based on how we compute pain endured vs the value of extending a life. As long as we both consider the situation, and make the decision based on the welfare of the animal, we are both right. Of course, we are both wrong as well. Nobody, regardless of experience, ever euthanizes at the perfect time….we do our best and have to live with the decisions. Euthanasia definitely does not have to be a “do it yourself” process. Veterinarians will euthanize birds in most cases….often they do not feel comfortable diagnosing or treating, but will still perform this important service. If the cost, distance or circumstances preclude you using a vets’ services, I would far rather see you do the job properly yourself, than botch something as important and emotional as this. Euthanasia is NOT about making a bird dead. The crucial part is making the bird unconscious quickly. I can soak a bird in kerosene, and light it on fire…..it will ALWAYS end up dead, but this is NOT euthanasia. Once a bird cannot feel pain or fear, the method used to kill the body is almost irrelevant, for the bird’s welfare. The “appetizing” factor in any method of euthanasia is not relevant to the bird’s welfare. If the bird bleeds, or goes through convulsions, or the act looks violent, the method may still be very humane. The “yuck” factor is an important component of the effect on the “doer”, and this is something to take into consideration, but doesn’t necessarily affect the well-being of the bird. With these truths in mind, I am going to describe two methods of euthanasia for backyard poultry keepers to consider. They should be appropriate for the vast majority of people who raise chickens on a small scale. I will describe them in gory detail, and will tell you HOW they work, and why they are humane. There are other methods that are humane….I have chosen the most accessible methods that I think will be most useful for small flock owners. If you are squeamish, you may want to stop reading now. Cervical dislocation is humane, if done properly. The benefits of this method is that it can be done immediately after identifying that a bird should be euthanized, and needs no tools. It causes unconsciousness in around 40 seconds after being applied, and is very repeatable….that is, it works every time it is done properly. The way cervical dislocation causes unconsciousness is by stretching the neck, dislocating the joint at the base of the skull. This causes the spinal cord (which is very elastic) to snap, and the resulting recoil causes brain damage and unconsciousness through concussion. It causes death by breaking the blood vessels (carotid arteries and jugular veins) so that the brain runs out of oxygen. Pinch just behind the head to ensure that the head has separated from the neck. You will feel a definite gap, and it will feel like there are 2 layers of skin between your fingers. The bird will convulse and go into spasms….this is normal, and results from the loss of central control over the muscles. The movements do NOT mean the bird is conscious or suffering. Always ensure that the euthanasia has been effective by monitoring the bird until after convulsions stop and you can observe lack of breathing and that you cannot hear a heartbeat, either by listening to the chest with a stethoscope (if you have one), or by placing your ear against the birds chest. Decapitation is an effective, humane method of dispatching a suffering animal. It is NOT instantaneous, but very quick, with unconsciousness usually occurring within 15-20 seconds. Unconsciousness occurs when the head is removed, and the Cerebral Spinal Fluid (CSF) escapes from the cut spinal cord. CSF is a fluid that acts to keep the brain and spinal cord “floating” inside the skull and spine…..by letting this escape, the brain will come in contact with the skull, causing concussion and unconsciousness. Obviously, death will follow because of loss of blood flow to the brain. An important factor in this method is that the head MUST be completely removed. Cutting the major vessels and bleeding the bird out is not humane. Yes….the backyard slaughter method used by many small flock owners is NOT acceptable. If you cut all the blood vessels in the neck, the bird will stay conscious until the oxygen in the brain runs out…..3-4 minutes later. It is called exsanguination (or “bleeding”), and is identified as an UNACCEPTABLE method of killing a bird by the AVMA (American Veterinary Medical Association). If you want to bleed a bird (ie for slaughter), you must make it unconscious first. Other things to consider when euthanizing via decapitation, are that the blades used must be sharp, and the head must be removed in one cut. The blade, or the scissors must be large enough that one motion completely removes the head. Scissors are helpful as they improve human safety. Axes and knives work very well, but you must be careful! A stump with 2 nails driven in about an inch apart is a good way to hold the head safely, and cutting cones are very helpful to hold the bird still and keep your fingers away from the blade. One last point. Consider what your bird is going through as you are deciding when to euthanize. Remember that chickens hide pain, even severe pain, very well. It’s important to realize that it takes a LOT of discomfort for a bird to stop eating and act sick….hunched up in a corner of a coop. Very often, I feel that more suffering is caused by waiting too long to euthanize than even by people who euthanize incorrectly. It is part of your responsibility as an owner to care for your birds, and if her situation is painful and seems hopeless, it is time to start seriously considering euthanasia. I have been involved firsthand in many of the changes that are being required of agriculture to respond to animal welfare demands by consumers. I have noticed a few things that I think are very interesting, and, frankly, movie-worthy. Consumer pressure has pushed for the removal of gestation stalls for sows and caged housing for laying hens, pressure against fast growing broiler chickens, and removal of antibiotics, hormones and growth promotants in all animals. We can debate the end result of many of these requests, and whether they actually result in improved animal welfare, or whether the gain is worth the loss in other areas such as environmental impact, human health or economics. That is interesting, but the question I keep running up against is whether the public ACTUALLY WANTS the things they are “asking” for. Huh? I know you are asking yourself if I’ve bumped my head or drank too much (questions I’ve had to face far too often in my career), but bear with me. I am going to use caged chickens as an example to show you what I mean (the blog is not Mikethepigvet, after all). Don’t get me wrong….I understand that animal welfare is a big concern for some people, and those people have been making choices of what to buy based on their values for years. And I believe that almost everyone has a desire, all things being equal, that animals be treated well. BUT, remember that improving animal welfare makes eggs more expensive…cage free eggs will always be more expensive than caged eggs, and organic eggs will always be more expensive than both. Does the general public want welfare improvements enough to pay for them? Yeah, this guy….how could you NOT believe him? player in the fast-food arena, despite not bringing back the drive in. A&W had identified a concern held by some of the consumers, and addressed it. They were seen as good, responsive corporate citizens, and gained trust and goodwill. Other restaurants had to respond…they were losing business. Enter McDonalds. They had been struggling with their image as the prototypical fast-food outlet and blamed for singlehandedly causing the obesity trend in the world. In response, they rolled out all day breakfast and pledged to source eggs from only cage-free hens. They had a very solid response and uptick in business and image. 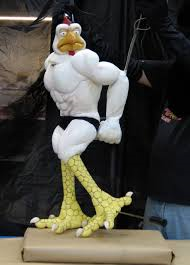 In Ronald’s eyes, the public really WANTED cage free eggs….the switch was in response to public values. People responded to McDonald’s doing something that made them seem like “good guys”…..plus, Egg McMuffins are delicious. Other restaurants saw a behemoth like McDs moving to cage-free and followed suit, because the public wanted it. Around the same time, surveys were done by activist groups that showed that 90+% of people felt it was important to treat animals kindly and that confinement was not kind. So….come to my part of the world. Over the past few years, more chickens have been housed in aviaries and other cage-free houses in Ontario….to meet the commitments made by the big retailers. Everyone built a little bigger than they needed to, because – hey, the public wants cage-free eggs, and the market would do nothing but expand, and eggs that didn’t go to the food retailers would sell like hotcakes (also delicious) in the grocery store. Why, then, are there thousands of dozens of eggs being produced in aviaries and floor barns in Ontario being sold as regular eggs….without earning the premium price that is necessary to pay for the more expensive method of production? There are cage-free eggs front and center in every egg display in every grocery store in the province…..I have trouble finding the regular eggs that I buy (they are at knee level, near the back of the cooler). I thought the public WANTED cage-free eggs. Why, then, has the demand for specialty eggs not increased noticeably? It continues to creep slowly upwards, but the number of organic, free-run, and cage-free eggs bought in the store is essentially the same, and well less than 10% of eggs sold. (I don’t count omega-3 eggs in this, because they are produced by changing the birds diet, and are laid predominantly by chickens in cages). Consider this…..are consumers responding to the willingness of the restaurants to show that they are responsive and “good guys”, more than an alignment with specific animal welfare priorities. Consumers “accept” the changes in the restaurants, but don’t “choose” those same eggs in the store. The implications for farmers are huge….they are going to change their way of housing birds, but if they invest millions into non-cage systems, but the public doesn’t want to buy them they will literally go broke. If they invest millions in the new furnished cage systems, and the public DOES demand cage-free in the store, they will go broke. Makes me glad I’m not making the decision right now, but it does make me worry for the friends I have in the industry. I have been away for too long. I apologize, but have a good excuse…..well, several excuses, actually. I accidentally overbooked myself into several projects to do with animal welfare, backyard chickens, advances in commercial egg production, and all the personal stuff that comes from having 2 kids that keep all the rest of the projects in perspective. I think these past couple years have given me new perspectives on the poultry world that hopefully will make my blog posts a little more insightful. Many of my projects have been at the national level and have made me think about bigger issues in bigger ways. Conversely, I have done some projects that involve backyard flocks, which makes me think about smaller issues, in smaller ways…..equally challenging, surprisingly! The things that sidetracked me from writing here over the past year or so have included being a member of the National Farm Animal Care Council committee to develop that Code of Practice for Poultry (Layers). This document is basically a set of rules that define what is considered humane treatment for egg laying chickens in Canada. It is a national standard, that is going to be implemented across the country. As you can imagine, this was a VERY complicated process, and involved finding a middle ground that retailers, researchers, vets, humane societies and producers could all agree on…..I think we should take on the Palistine situation next….it couldn’t be a lot more complicated. The code we produced, which will be published this March, is one that I am very proud to be a part of….it truly improves the welfare of millions of chickens, while still being practical. I will tell you more about the process in a later post. I have been very involved in developing and delivering a euthanasia course to all the laying hen producers in Ontario (yes, every one), and to a large percentage of the producers across the country. Euthanasia has been one of those subjects that everyone wonders about but people don’t want to talk about openly (kinda like that funny looking nephew at the family reunion…..admit it…). All producers, from the small backyard keeper to the largest professional farm need to have a plan in place to deal with an injured or sick chicken. The decisions around when and how to euthanize are personal, emotional, and difficult, no matter what the size of your operation. It is a subject that has been poorly communicated historically, and the course we made and delivered has been really successful and well received by the producers that attended. I hope to explain practical methods of euthanizing to this audience as well. I hope that you can understand the process, if it is valuable to you, or at least understand what chicken farmers face when they have to deal with euthanasia. I have been involved with teaching how-to courses to backyard chicken keepers near me in Ontario, and being part of developing a course for non-poultry vets to give them the basics of chicken medicine so that they can be of service to backyard producers or small flock farmers in their area. It was fun to explain some of what I do to some old colleagues, and it is definitely valuable to get some more vets out there that are willing and able to service small flocks. I was also involved in developing a hatchery welfare program that is being implemented in the hatcheries across the country. Again, the hatcheries have somewhat “fallen through the cracks” with respect to programs. Don’t get me wrong, the welfare of the birds is very important in our hatcheries, but now we have a program that ensures that we are all measuring welfare in the same way, and trying to improve our processes as a group. There are several new technologies and processes that are improving the welfare of all chicks in the first day of life. I am continuing to work on these issues, and will share these advances in the next little while in the blog. 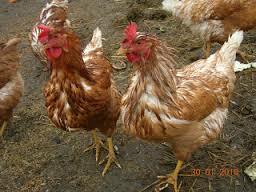 Finally, I have been very involved in the health of the laying hens in Ontario. This means that I was busy helping to recover from Avian Influenza over the past year. Understanding how the disease is spread, and the things that a country has to do to regain the status of being “free from Avian Influenza”, and the importance of that distinction gave me a new understanding of this devastating disease and the repercussions. So, in summary….I am back….I have missed writing this blog, and am very glad to have the time to get back to it. I hope there are still those of you that are interested in what I have to say, and I hope that I can share some things that are of value to you. What do you put in those chickens? There is NO WAY he’s all natural! If I had a quarter for every time I was asked what we put into laying hens to make them lay so many eggs….I would NOT be setting my alarm early so I could shovel my driveway out for the 4th time this week. I can’t keep track of the number of times or ways I have been told about the constant flow of antibiotics, hormones and additives that go into laying hens. It has stopped being a surprise, but it used to be….I always wondered what I was doing wrong as a vet! If everyone else was using all these good drugs on their hens, what was I missing? Then I figured it out….what I was missing was immersion in the internet. The amount of misinformation out there is staggering. I’m sure it’s true when I do a quick search on nuclear energy, or free trade coffee, or Beyoncé’s plastic surgery history (not that I would….honest). The difference is, in this case, I KNOW how much is misinformation….on other subjects, I can be convinced by a smooth argument and repetition. I can only swear to the truth about the birds I look after, here in Ontario. As the vet on record for over half of the laying hens in Ontario, I can state that it is much more common for flocks to NEVER see antibiotics than to be treated. I use antibiotics if a flock needs them to fight off a disease, but that is rare….I used antibiotics less than 20 times last year in the more than 300 flocks I am in charge of. Professional laying hen farmers spend a lot of time, effort and money in PREVENTION of disease. This includes extensive vaccine programs, strict biosecurity programs, excellent control of the environment the hens are in, clean barns, high quality feed and water, and protection from wild animals (this is especially important right now, when waterfowl are shedding Avian Influenza in many areas of North America). If only they’d keep the darn things ON! 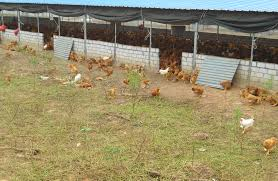 That and the fact that laying hens are mostly in cages, separated from their manure, means that it is uncommon for laying hens to get diseases that require treatment with antibiotics. I think it is crucial for animal welfare to allow for the treatment of sick flocks when medically necessary. I also think it is crucial for farmers to take disease prevention and prudent use of antibiotics very seriously…..and, in my experience, they do. We manage flocks so we don’t have to treat, but will treat if it becomes necessary. I still wondered if I was running a different practice than my colleagues though. I know the vast majority of the laying hen vets in North America, but they don’t tell me what they are doing on a day-to-day basis. I was in an international poultry expo in Atlanta last month….a who’s-who of the poultry world, and about 30 of us laying hen vets got together for a meeting (we are not a big group….there are more pro sports TEAMS in the US than laying hen vets). The subject of antibiotic resistance came up, as it does in every vet meeting I’ve attended in the past 5 years. One of the most distinguished vets in our group said he thought our industry was doing well in antibiotic usage….his quote: “I belong to a group called AA….Antibiotic Anonymous…..whenever I feel the urge to try to solve a problem with antibiotics, I phone another vet, and they talk me out of it”. That made me feel that we were all pushing in the same direction. It. Doesn’t. Happen. ……… Ever. If I could say it more clearly, I would. There is no hormone product for sale for poultry, there is not a farmer who would want it, there is no way it would make economic sense, and there is absolutely no reason to use such a product. Our hens have been genetically selected so well that they almost lay an egg every day….that is all they can produce! There would be no way to feed a hen enough nutrients to allow her to produce more than that! Besides…many of you readers have backyard hens, who also lay close to an egg a day…..where are you getting your hormone supplements from? As for all the additives we use in laying hen feed, there is some truth to that. We add vitamins, lutein, Omega 3 fatty acids and other nutrient enrichments that are passed on to the people who eat the eggs. 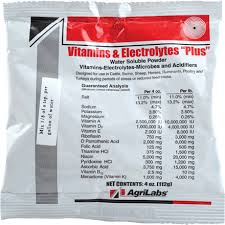 We also add things to improve the health of the birds….electrolytes (think Gatorade, without the sugar), calcium for bone strength, probiotics (similar to yogurt, but not as gross), and organic acids (similar to vinegar), to help with digestion and keep the gut healthy (actually this is one of the more recent focuses of disease prevention…..gut health). I hope this makes some sense to readers who are unfamiliar with professional egg production….at first glance, it might make sense for us to use a lot of drugs or even hormones. But once you look a little deeper, disease prevention and good management do more good than either of those strategies. Some of you might be aware that there is another outbreak of Avian Influenza in Canada. In British Columbia, on our west coast, a total of 10 barns have been found to be infected (so far). I’m getting quite a few calls asking about information around the disease, so I thought I would share some thoughts with you, in case you are interested. Avian Influenza (AI) is a virus that is pretty well adapted to ducks and geese. The bug lives in fairly good harmony with waterfowl, not causing too much disease or problems. Then….it gets into chickens (or turkeys). AI gets into cells in the windpipes and lungs, making the birds sick….but not too sick. The virus hijacks the birds cells to make copies of itself, and then destroys the cell, and spread the new viruses into the world. This is what we refer to as “Low pathogenic” AI. Chickens and turkeys don’t feel well, but the severity is a lot like a cold for us…farmers would notice the flock was off, but no alarm bells. Then….a couple subtle changes happen in the virus, and the bug becomes able to penetrate cells in the windpipes and lungs, but also the intestines, muscles and some other organs. The virus makes many more copies of itself each time it invades a cell, and it invades A LOT more cells. As you can imagine, the amount of virus produced is staggering, and the number of cells damaged by the virus are very high. The virus now has become “Highly pathogenic”. It makes birds desperately ill or dead extremely quickly. So quickly, in fact, that they don’t even seem to be sick….you can check the birds in the barn at 9 am, and notice nothing….come back at noon, and hundreds of birds are dead…..call the vet, who gets there at 3pm, and thousands of birds have died….it’s that fast and that severe. In the current outbreak, over half the turkeys in one flock had died within a day and a half from when they first got sick. The other aspect of AI is that it is so transmissible that it sometimes seems like magic. It rides the wind, lives in water, can attach itself to clothes, tires, shovels, manure spreaders…..anything. In one outbreak I was involved with in the 90s, a backhoe was used to dig the hole to bury an affected flock for disposal. The backhoe was washed, and trailered 30 miles back to the owner’s lot. It was parked about 200 yards upwind from another barn, and that barn got infected. Controlling this disease is extremely difficult, and trying not to spread the virus while trying to stop the outbreak is tricky. There are a small army of really smart people doing heroic amounts of work, trying to stop the spread of this disease. Birds can’t move without a permit showing that the flock has tested negative. Feed is delivered in very precise way, in a determined schedule. Affected flocks are quarantined, and euthanized, and any flock within the safety zone (usually 1-3km around the affected flock) is immediately tested. I am REALLY glad I’m not involved in the clean up, and commend all the farmers, vets, government officials and all the other people involved in the clean up. You might ask what the human risk is. The risk for human infection is extremely low. Very, very few Influenza viruses can transfer from birds to mammals, let alone people. Also, the only risk to people at all, is through contact with infected live birds, or their environment. If you are not exposed to sick birds, or involved in the clean-up, you cannot get influenza from eggs, chicken meat, or any chicken product. I have no more fear of a human pandemic from this outbreak than I fear California falling into the ocean because of a massive earthquake…..both are imaginable, but vanishingly unlikely. I hope this helps answer any questions you might have had, and if you would like to know something else, please ask. This is a post I have been mulling around for a while. Euthanasia is a very emotional, controversial, and uncomfortable subject, especially when talking to people with different backgrounds. I have been lucky enough to be involved in a big animal welfare project that is going to focus on agricultural animal welfare….all species. The strategy sessions have one issue in common between cows, pigs, chickens, turkeys, rabbits……euthanasia. Farmers know that one of the most important welfare contributions they can make to their animals is to properly and humanely dispatch sick, injured or unthrifty animals. I also remember a conversation with a very invested backyard chicken keeper, and her main concern with the lack of accessible vet care for urban chickens was having no-one who could euthanize her hens, or teach her how to do it herself, if it came to it. Euthanasia is a huge animal welfare concern for anyone who lives with any type of animal. There are two huge questions surrounding euthanasia….when and how. When to euthanize is an emotionally charged, non-scientific, opinion and value based question that will be different for each person. It depends on your opinion on quality of life, and your morality surrounding death. I am NOT going to tell you when you should make the decision that euthanasia is appropriate. I will state that refusing to euthanize an animal no matter the circumstances, is detrimental to animal welfare. Letting an animal languish and waste up to the time when he dies, instead of euthanizing him, increasing the amount that animal suffers. Having said that, the decisions around whether an animal with a specific injury, or a disease at a certain point should be euthanized is a value based question, and needs to be made on an individual basis. Something I can probably help with is the HOW of euthanasia. Killing an animal and euthanizing an animal are not the same thing….in both cases, the animal ends up dead, but euthanasia has more requirements than the final result. Medically, euthanasia is defined as “the practice of intentionally ending a life in order to relieve pain and suffering“. Other definitions usually include the concept of “painless death“. In reality, true euthanasia is virtually impossible. You are taking a living body and damaging it somehow so that it stops living. You can use poisons, trauma, or take away something the body needs to live. It is our jobs, as welfare proponents, vets and caring owners, to get as close to perfect as we can. There are 3 aspects of proper euthanasia. 1 – It should cause immediate insensibility (unconsciousness), 2 – It should be irreversible, and 3 – It should cause no discomfort (pain or fear). The issue arises with the absolute statements of immediate and NO discomfort. There is a second, separate, and unfortunately pervasive issue – esthetics. At the end of the day, we are taking a life. It will ALWAYS be distasteful and uncomfortable. It will sometimes be gross. The people it affects most? The people doing it. That is why many “investigative” videos show problems with farm worker’s attitudes around euthanasia….the joking, callousness or disinterest captured on camera are almost always defence mechanisms of people trying to get through a part of their jobs that make them very uncomfortable. It doesn’t excuse the behaviour, but it does explain it a bit. Euthanasia methods need to be accommodating for the persons executing it. A real, and possibly the most damaging aspect of euthanasia (and the main reason I wanted to write this convoluted post), is the attitude of people watching the euthanasia…..especially the public, who are definitely going to ask agriculture to justify the methods we use to dispatch animals. If you consider the 3 aspects of proper euthanasia, the most effective methods of euthanasia for farm animals are gunshot, blunt force trauma, decapitation and maceration (of appropriately small animals). All of these methods are summarily condemned by people who are only used to dealing with companion animals. Why? Obviously, it is disturbing, violent, and gross. I get that. But, think about it from the animals point of view. Imagine a piglet, picked up and held, squealing and afraid, while someone holds him very firmly until a vein is found, inserts a needle, and puts him down. It maybe takes a minute, and hurts only a little, but the fear level is pretty high. He then goes into the corner, lies down, goes to sleep and doesn’t wake up. Now imagine the same piglet, held for about 5 seconds, and struck with a hammer. He is instantaneously killed, and there is minimal to no fear. Which is more humane to the animal? How would you feel if you saw someone euthanize a piglet with a hammer? Would you be upset at the farmer? Would you charge him with cruelty? (NOTE: I am not recommending using a hammer as a proper method of euthanasia….there is too much of a risk of missing, and causing welfare problems….it is simply a thought experiment). I have been asked by several different people with very diverse backgrounds as to why we HOUSE chickens. People have a Disney moment every time they see a big fluffy chicken scratching around in a dusty yard, or looking ridiculous eating grass in a beautiful sunny field. These idyllic images should be the goal of “farming” everywhere, and folks wonder why on earth this doesn’t happen. Here, in Ontario, Canada, the most obvious reason is just making its reluctant disappearance. Winter and chickens are not the best of friends. Red Jungle Fowl, the predecessors of all laying hens, evolved as (spoiler alert: check out the name) JUNGLE fowl. Not especially tailored to cold weather. Although some breeds have been developed in the northern climates (like Rhode Island Reds, Couchons and Buff Orpingtons, to name a few), they lay far fewer eggs than the modern crosses we use now on commercial farms. 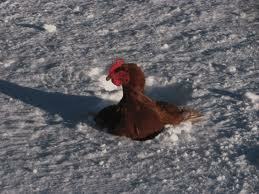 Hens cannot handle cold weather well if they are selected for egg production. Again, the pressures facing professional farmers is different than backyard chicken keepers. If you have 5 hens, and are used to getting 4 or 5 eggs per day, and get 3 or 4 per day in winter, you will say that they never miss a beat. This is a 20% decrease in production, and will destroy a commercial flock…..if you have 20,000 hens, you would be collecting 4,000 eggs less PER DAY. Either we would have egg shortages in the winter, (if we kept the same number of hens we have now), or a glut in the summer (if we had enough hens to supply enough eggs in the winter). Notice how many chickens are venturing out of the safety of the barn. waistlines). Chickens are NOT adventurous, brave or tough….they are, in a word, chicken. It keeps them alive. They have great vision, communicate predator presence very well, are flighty and nervous and very efficiently look for a reason to freak out. Having an enclosed shelter gives them a strong sense of security, especially if it protects them from predators from above. There have been research trials that marked hens with radio-collars that showed that hens given the choice to free-range outside of the barn actually choose not to. Over half the birds is some trials NEVER leave the security of the barn, and many of them spend a lot of time in the doorway….protected, but able to look out. Hens also have a serious aversion to wind, and really don’t like to go outside on windy days. Hens seem exceptionally sensitive to flying threats, and really appreciate overhead protection. Some of the same studies have shown that range use increases if there is overhead shelter provided. Of course, putting a roof over the range makes it much less Disney-esque, and it is not difficult to imaging this roofed structure eventually gaining some type of walls to keep the rain and wind out….oops, now it’s a barn again. There is a reason why “mad as a wet hen” is a simile…..
a range dry…shifting the area hens have access to, or shovel away the dirty, manure filled mud and replace it with dry, clean fill. Imagine trying to manage the range for a flock of 20,000 birds (I keep using 20,000 birds, since this is the average flock size in Ontario….it is a very small flock size compared to many places). Recommended range availability for laying hens is around 4 square meters per hen (right now, Canada has no explicit range size recommendations, but this number applies to other jurisdictions). For my hypothetical flock, we need 80,000 square meters of land to manage. This is 15 soccer fields to drain, clean, manage and keep attractive to the hens. It isn’t so much that it can’t be done, but it is very complicated and labour intensive. Another thing that is controlled well indoors is light. Ever since pressure on laying hen farmers in the EU forced hens to be housed with outdoor access, mortality and welfare problems due to pecking and cannibalism has been one of the biggest obstacles facing the farmers and birds. In small groups (ie less than about 25), hens develop a solid “pecking order” that is mostly maintained by postures, feints and threats. In larger groups, dominance pressures more often result in physical attacks and then wounds. The other difficulty caused by daylight is the stimulation to keep birds laying throughout the fall and winter months. Chickens are encouraged to lay by increasing day length, and decreasing day length will push hens out of lay. Because our latitude causes maximum day lengths of over 15 and a half hours, it is necessary to keep the barn lights on for at least 16 hours per day. The further north you go, the longer the longest day is. 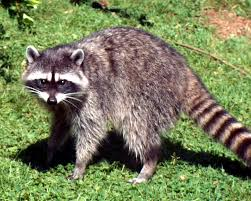 Raccoons can open almost any latch, burrow under fences and climb almost anything. dogs, foxes, raccoons, weasels, snakes and even bears from the ground. Latches get undone, fences get burrowed under, and the assault on all the supports, wires and nettings means that there needs to be constant repair. Remember….on a professional farm of 20,000 hens, we are surrounding and covering 15 soccer fields of area. And once a predator finds access to such an easy, tasty meal, they will not leave it or forget it….in fact, in the case of birds, they often recruit friends to help with the harvest. So, in summary, hens are indoors to decrease disease and discomfort from environmental stresses, reduce injuries from each other and external predators, improve the control of the environment in terms of light intensity and day length. There are other reasons, such as practicality of providing feed and water when the hens are outside, disease transmission from wild animals (Avian Influenza is a big one), and problems caused by foraging (impacted crops, nutrition dilution because of high levels of fiber intake, etc). I hope this gives non-farmers an insight as to why range hens are a niche market, supplied by farmers who command a significant premium for their product and usually have small farms. Shifting the majority of the professional farms to this strategy of production would be very difficult, and would lead to a lot of problems for the hens as the industry adapted. This winter has been a throwback to olden days (olden days is when I was a kid, according to my 7 year old). We had extended periods of cold, REAL snow (I got to expose my kids to the joys of digging tunnels in snowbanks for the first time in their lives), and all the bliss that goes with a real Canadian winter. I’m no social media guru, but I’ve noticed a lot of people from a lot of places complaining about the same thing across North America. Your chickens have noticed it too. Trust me. They have been cooped up (pardon the pun), struggled through the snow, fought with frozen water, and risked frostbite for the past 4-5 months. They have likely slowed down in egg production, moved around less and eaten and drank less than they have in past winters. I salute all the backyard farmers who have helped their flocks get through the challenges. Your coop and run are likely deeper than you’d like them to be. Removing manure and litter in the winter is difficult, and a build up of litter is beneficial in keeping the coop warmer in the cold of winter. However….depending on the lay of the land, the drainage of your backyard, and your snow burden, there is a real risk of “poop soup” developing. If water can settle into your coop or run, either because of the slope of your yard, or the way snow is piled around it, the risk of disease is very significant. When manure is frozen and dry, it is not as much of a risk factor for disease…..cocci oocysts (eggs) are inert, E.coli and Salmonellas aren’t dividing and increasing in numbers, and worm eggs and fungi are less infective. Once you add water to the system, all this changes. There is also a physical risk for your chickens from wet environments….wet feet have less integrity, and the risk of bumblefoot and ulcers goes up. Spring is a tricky time for temperature. Damp air at 5C(42F) is more dangerous for frostbite than dry air below freezing. As the temperature goes up, and your yard gets muddier, your hens will (like your kids), run around, make a mess, and cover themselves in all kinds of goo. When they go back into the coop, the hens may be wet, which will increase humidity in the coop, and when temperature drops at night, there is a real risk of discomfort and even frostbite in your flock. Clean out your coop……yesterday, if not sooner. Pick up the droppings in your run, as best you can. Reduce the source of infection, and you will go a long way to protecting your flock. Ideally, you would move both the coop and run to a fresh area of the yard as soon as the grass shows up. Dig a moat around your coop, or dig a trench to guide the meltwater and runoff away from your hens and where they live. BUT, it is usually not a great idea to flood out your neighbour with meltwater, especially if the water is also draining from your coop. I can’t really help you specifically, since everyone’s situation is unique, but do your best to keep the water and mud away from your hens, without sacrificing neighbour relations. Do what you can to keep the coop dry. Dryness is even more important than absolute temperature for hen comfort (within limits). A small, battery powered fan can make a world of difference. The other important aspect is keeping the floor dry, as this helps control bacterial load, improves foot health, and reduces humidity overnight. Clean out more often in spring….even though it is less convenient…..your hens will thank you for it. Remember…..not only are environmental challenges higher in the spring, but your hens are quite likely coming back into production, which is also stressful and reduces their ability to fight off problems. Take the time to give them all the support you can to get through this tricky time.